Electric vehicles (EV) have come a long way in a relatively brief period of time. According to the International Energy Agency’s (IEA) Global EV Outlook 2018, sales of new electric cars worldwide surpassed one million units in 2017 — a record volume — representing a 54% growth in new electric car sales compared with 2016. The global electric car stock crossed the three million-vehicle threshold in 2017, while the stock of electric buses increased to 370,000 units and electric two-wheelers reached 250 million, according to the IEA. The IEA definition of ‘electric vehicles’ (EV) includes battery electric vehicles (BEVs), plug-in hybrid electric vehicles (PHEVs) and fuel-cell electric vehicles (FCEVs). Following recent announcements by many government regulators and noteworthy investment from OEMs, it’s clear that electrification is the long-term plan for transport and propulsion. In fact, with the evident media hype, you could be forgiven for thinking a collapse of the entire value chain associated with the internal combustion engine (ICE) is imminent. 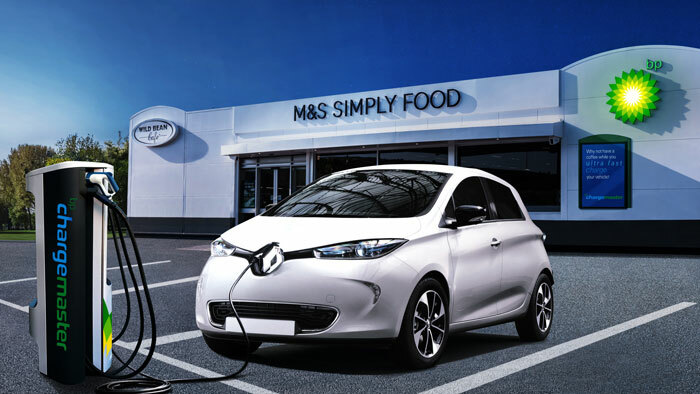 Certainly, the transport industry needs to reduce CO2 emissions and the environmental credentials of EVs are routinely touted in the battle against climate change. But is this technological revolution really about environmental consciousness? Or is it simply a fight for technology leadership in a field where no one is yet a front-runner? China is the largest market for new energy vehicles (NEV) as they are called in China. NEVs include plug-in hybrid electric vehicles (PHEV), battery electric vehicles (BEV) and fuel cell vehicles (FCV). EV Volumes, a Swedish group that tracks the global electric car market, claims that in 2017, 49% of global passenger car plug-in vehicles were sold in China. Wei Wang, Infineum’s sales general manager for the Greater China Region, says it is no coincidence the Chinese government strongly advocates for electrification. Speaking at Infineum Trends 2018, Wang says anyone who believes China’s NEV drive is about environmental friendliness is sorely mistaken. This is a strategic decision. China has been trailing leaders in automotive technology such as the United States, Japan, and Europe for decades. While China’s 1.4 billion population and vast territory provides huge demand for mobility and, in 2017, accounted for 30% of global car production, China has struggled to play ‘catch up’ technologically. “If we can’t catch up, why don’t we change the playground,” surmises Wang. Wang points out that China is still using coal to produce electricity and has no program for recycling batteries, despite producing more than half a million NEVs each year. However, Wang believes local Chinese manufacturers are in a strong position in the EV market with quality gaps closing quickly and a supply chain localized for international brands allowing similar access to quality materials. China also possesses the largest lithium reserves in the world, a reason they favour environmentally less-friendly lithium batteries over fuel cell technology. EV momentum is led by China, but the quest for technology leadership is raising concerns throughout the globe over the degree of disruption the lubricants and additives industries may experience. Innumerable companies and researchers are seeking clarity on the future of e-mobility, often utilizing predictive modeling for meaningful insights. Perhaps there is no one better to ask about electrification and the prospects of the oil industry than lubricant manufacturers themselves. Notably, but not surprisingly, all the major lubricant companies have at least one shared viewpoint — that the future is not YET electric. Despite hysteria around banning ICE vehicles, it is not the end of the line for lubricants, they claim. Although at this point the future is still uncertain. Sinead Adamski, regional executive marketing manager at Infineum, highlighted several factors that will shape the lubricant market over the next 25 years. Speaking at Infineum Trends 2018, Adamski emphasized that growth in total vehicle population, an expanding middle class, an increase in personal mobility, and freight will all lift lubricant demand. Conversely, longer oil drain intervals and the penetration of battery electric vehicles will counter this growth. For the “foreseeable future” the largest impact on the global oil market will continue to be the impact of oil drain, confirms Adamski, generating a far greater impact than any other factors, including EVs. Only a very significant penetration of battery EVs is likely to change that, she says. Infineum believes that technology and practical challenges will temper the rate of EV adoption, such as a continued high cost of battery electric vehicles, range limitations, a lack of global coordination to ensure infrastructure, recycling and power generation. However, Adamski did underline that motorcycles for basic transport are electrifying now owing to their low power requirement and limited range. Very few motorcycles based on ICE are prevalent now in cities such as Shanghai, she says. Stefan Wolff, BASF’s vice president of Global Marketing and Product Development, Fuel and Lubricant Solutions, anticipates the electrification trend will move to more mass production after 2020 or so — subject to consumer acceptance and other factors. Still, BASF expects the ICE will remain the dominant powertrain technology for a long time, including hybrids — “which are still a transitional switch.” BASF predicts that less than 10% of the total car population will be pure electric or another powertrain not in need of an ICE at all by 2030. Assumptions are based on 2% growth in light-duty vehicles sold until 2030, and an average car lifetime of eight to 10 years. The commercial vehicle segment will face much slower adoption. Certainly, there are multiple scenarios at play, and many uncertainties, making the uptake of EV very difficult to predict. A 2018 presentation from Chevron Oronite, entitled Electric Vehicle Outlook and Impact on Lubricants/Additives suggests that irrespective of current market changes — the “future of the lubricant and additive business is bright.” The Oronite data and analysis of potential impact is based on widely available third-party information and government announcements. Oronite reports that vehicles running with internal combustion engines and on passenger car engine oil will likely continue to grow for decades. It is also worth noting that HEV and PHEV vehicles are equipped with ICEs and do still use engine oils. The document estimates the global vehicle population will grow from the current 1.2 billion to two billion units by 2035, and projected light-duty vehicle population growth will help mitigate the impact of non-ICE car penetration. Even in the most aggressive third-party forecasts range (875 million EVs in 2040) only 39% of the on road fleet would be electrified, leaving 1.4 billion vehicles still running on ICE. “For EVs to displace ICEs, it will require some combination of higher oil prices and cheaper battery storage,” according to Gary Parsons, a co-author of the paper, while also noting that the efficiency of competing vehicles will play a role. Parsons was Chevron Oronite’s global OEM and industry liaison manager until his recent retirement. ExxonMobil’s 2018 Outlook for Energy: A View to 2040 predicts strong electric vehicle fleet growth will be driven by decreasing battery costs, increasing model availability and continued support from government policies. However, the world’s largest oil company claims liquid demand trajectory while uncertain will remain resilient. Oil will continue to play a key role in the world’s energy mix, as the commercial transportation and chemicals sectors lead demand growth. The ExxonMobil Outlook predicts demand for liquid fuels will grow by about 20% to 2040, “even as liquids demand from light-duty transportation peaks and declines during this period with more-efficient vehicles.” Peak fuel demand is expected to precede peak lubricant demand by five years, due to the significant introduction of hybrid technology. Fuel demand changes will be a key signpost for future lubricant demand. For every additional 100 million electric vehicles on the road in 2040, ExxonMobil theorises liquids demand could fall by approximately 1.2 million barrels per day. A wholly electrified light-duty fleet in 2040 could render total liquid demand at 2013 levels. To illustrate the impact of all light-duty liquids demand being replaced by electricity by 2040, ExxonMobil developed a hypothetical sensitivity, which suggested that global sales of light-duty vehicles would need to be 100% all-electric starting in 2025. This would require sales of about 110 million electric vehicles starting in 2025, rising to about 140 million in 2040, more than 100 times the number of electric vehicles sold in 2016. Meanwhile, amidst notable electrification challenges, the ICE continues to evolve with technological improvements such as downsizing, and the optimisation of injector systems. The trend towards GDI will continue, and outside of EV’s remains the fastest growing engine technology. What impact would this have on EV take-up? It remains to be seen.